Protect your pump with this mesh protector bag. 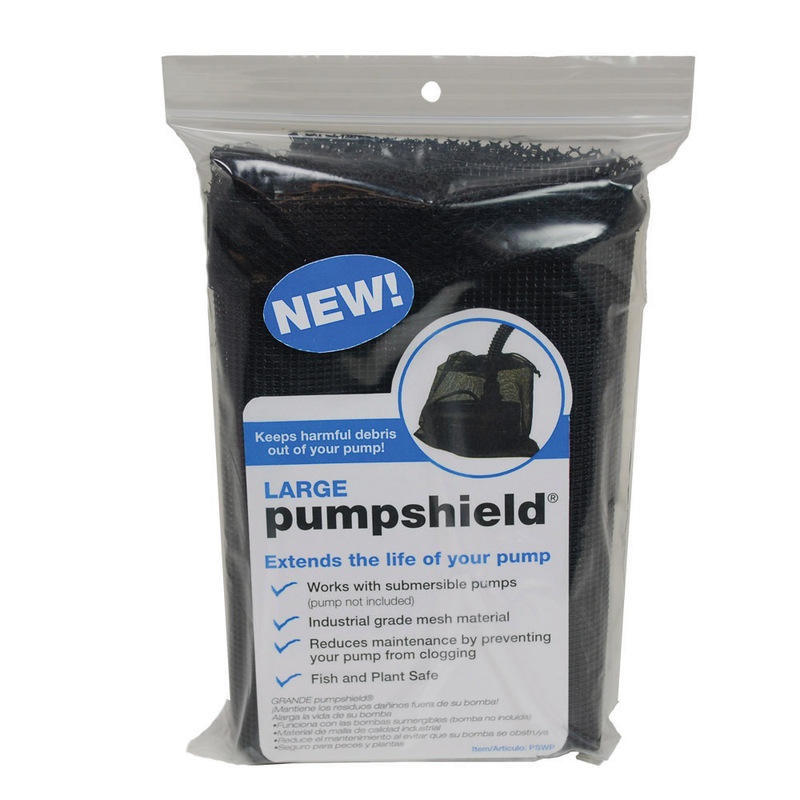 The pumpshield® fits over most submersible pumps and keeps debris out. Available at The Home Depot. 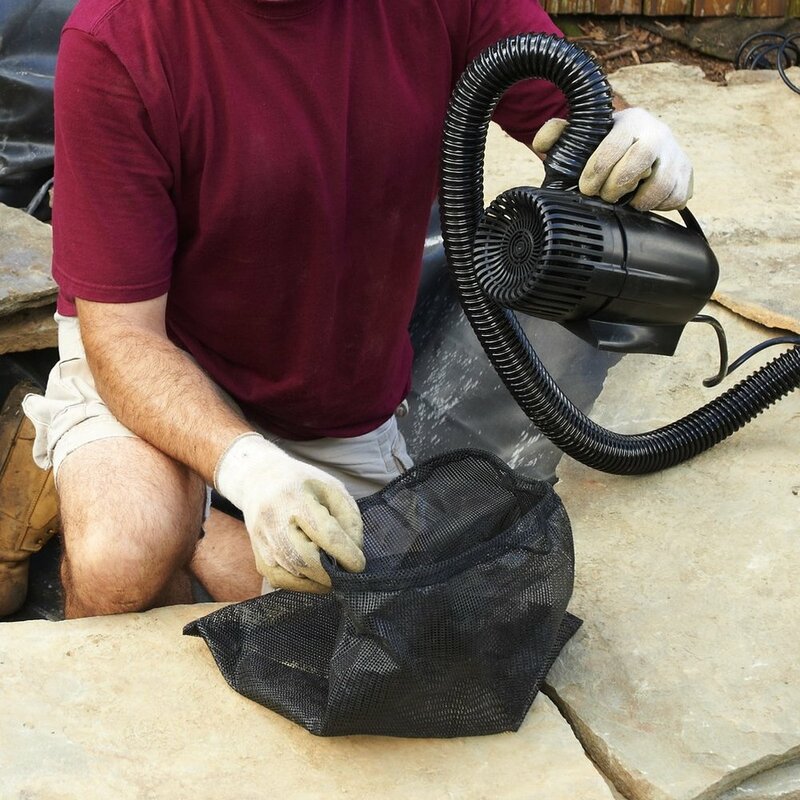 Protect your pond or fountain pump with this pump protector bag. The mesh pumpshield® fits over most submersible pumps and keeps debris out. Made of non-collapsing industrial grade mesh material. The pumpshield® extends the life of your pump by keeping debris out. The rigid mesh bag fits most submersible pumps. Dimensions: 15 x 15 in.